Scottish design duo Timorous Beasties have refreshed their stocked collection for Brintons, playing on the notion of pattern to create carpets that are a dramatic feature in their own right. The designs go against conventional techniques in that they are large in scale, yet their exquisitely drawn and coloured details are befitting of both classical and modern interiors. The undulating waves of the Moire carpet are inspired by a moiré fabric, a silk fabric which has been heated and applied with pressure to give it a rippled appearance. 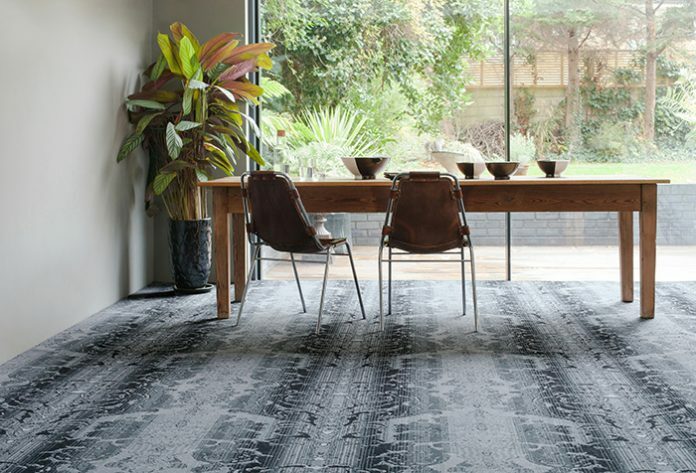 Much like the fabric, these all-over tonal patterns create carpets that look almost ribbed in texture and evoke the waves of water, with colourways of Dune or Silt adding more of a contemporary feel. Meanwhile, the Damask designs were created under the influence of traditional damask fabrics. The aim of the range is to exude a feeling of grandure and decadence, the essence of which is portrayed through the large scale design and dramatic tones in the new Jet Damask. Featuring birds berching on a garden gate, Atholl Gardens is a fusion of nature and the artificial environment, blending nature with ornate man-made items to create interesting silhouettes. A contemporary Pewter has been added to this series alongside Midnight Blue. Next, Ruskin uses illustrative insects, plants, butterflies and leaves to challenge traditional conventions, while its partner, Effie, takes its cue from delicate embroidery with growing florals sat on a plain ground in bold gold or modern grey. Completing the offer, Grain du Bois has been designed to bring familiarity and warmth to interiors with a free flowing weighted pattern. 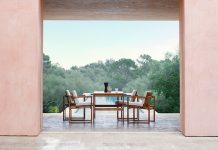 Boasting new shade Seal Grain du Bois, the series takes inspiration from the alignment, texture and appearance of wood fibres, where the colours can blend or contrast with each other depending on a guest’s view point in the room. “Using large scale and the avoidance of symmetry, the gentle meandering sprawl of designs like the Ruskin Butterfly or Golden Effie, favour balance through composition and create a completely individual interior. The décor can simply pick out a few key highlights so as not to detract from the stunning floor,” says Jane Bradley-Bain, Senior Creative Designer for Brintons.